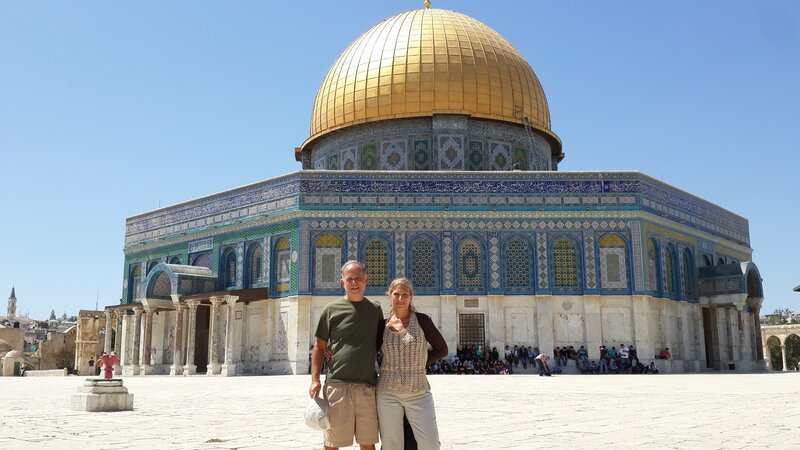 Mark and Harriet Rosenblit on Har HaBayit (the Temple Mount) in Jerusalem, Israel. Har HaBayit is the Jewish people’s holiest site on planet Earth. DUE TO THE OUTRAGEOUS PAROL CONDITIONS IMPOSED UPON HIM BY THE U.S. GOVERNMENT, HE IS STILL A POLITICAL PRISONER. "And HaShem said to Cain, 'Why are you annoyed, and why has your countenance fallen? Surely, if you improve yourself, you will be forgiven. But if you do not improve yourself, Sin rests at the Door. Its desire is towards you; yet you can conquer it.'" (Genesis 4:6-7). This Is The Red Line -- Hypocrisy on the Left? Sins of the Secular and the "Ultra-Orthodox"
Concern For the Plight Of The "Palestinians"
The New Trinity: Do We All Pray To The Same God?